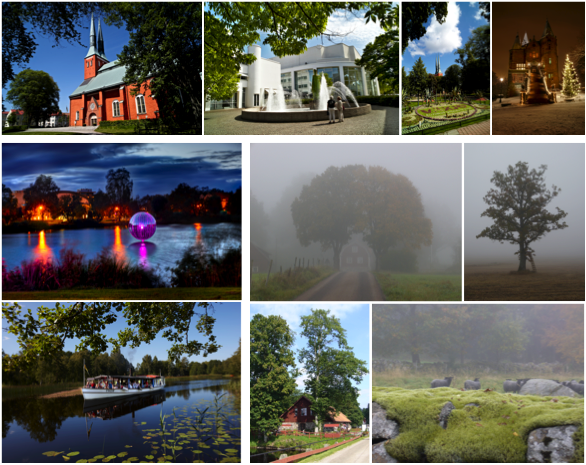 SIGRAD, the Swedish Chapter of Eurographics, invites to attend the conference SIGRAD 2012, which will be held at Linnaeus University, Växjö, Sweden, during November 29-30, 2012. SIGRAD 2012 is the premier Nordic forum for computer graphics and visualization advances for academia, government, and industry. It brings together researchers and practitioners with interest in techniques, tools, and technology from various fields, such as visualization, computer graphics, visual analytics, or human-computer interaction. This year's conference solicits novel research ideas and innovative applications especially in the area of interactive visual analysis of complex data sets. However, we also invite contributions on all other aspects of interactive computer graphics and visualization. For the first time, SIGRAD 2012 takes place in the Småland region of southern Sweden and is hosted by the Computer Science Department (ISOVIS Group) at Linnaeus University (LNU), Växjö. All content copyright © 2012 ISOVIS Group, all rights reserved.